It is becoming increasingly important for airlines and airport operators to monitor queue lengths and passenger flows within the airport. Airport operators have invested significant time and money on investigating technologies that can provide useful metrics. This can be accommodated by using facial recognition to monitor queues. Understanding your peak and quiet times is essential to enable sufficient and efficient staffing and resourcing. Raising of alerts when unforeseen queues arise is critical for ensuring passenger satisfaction, as well as for ensuring that all SLAs with other stakeholders, such as airlines or government agencies, are adhered to. Thus far, a common solution has enabled the tracking of bluetooth enabled devices, such as PDAs and smartphones, which are carried by passengers. The obvious drawback is that only a relatively low percentage of passengers will carry such devices, let alone have the bluetooth on the device activated. However, even a penetration rate of 10-15% can provide a large enough sample to give statistical significance. Even so, a solution that provides a much more comprehensive data set and accurate information is needed. How long on average does it take to go from Checkin to Security? How does this very with time of day? What percentage of passengers move from security to duty free? How many of these are male / female? How long does the average passenger spend shopping? How is this impacted by queue lengths? Importantly, no specific passenger identifying information need be recorded, and data can be purged at regular intervals. Airports, such as London City, are already deploying such technology. 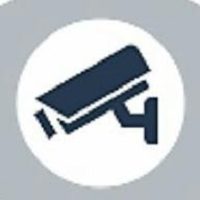 CCTV cameras enabled with biometric technology are installed at appropriate areas of interest. The passenger’s record is updated with a camera number and timestamp. The data is automatically aggregated to provide real-time analysis of passenger flows and movements. Average time to move between two or more points. Average time staying in a specific area. Reporting over specific time frames. Does not capture passenger personal details. Passenger data is purged regularly. There are no data protection issues. Unobtrusive and requires no passenger interaction. Does not require special devices, such as Bluetooth phones. Airports are complex environments involving multiple stakeholders, often with conflicting requirements. Their efficient operation requires real-time and reliable operational data. It was only a matter of time before operators turned to advanced technologies such as face recognition in order to provide such measurable and quantifiable date. Clearly, the more accurate the technology, the more reliable the data on which the operator is basing critical business decisions. Independent studies by NIST clearly indicate that face recognition is now operating at a level of accuracy to enable such decision making. The quality of the aggregated data provided by face recognition by far surpasses that of traditional application of technologies to this problem, such as bluetooth monitoring. You can read on the wider use of facial recognition in airports here. Hello, it seems to me a very interesting technology for today. Will it be possible to receive adittional information.